Animals truly are man’s best friend. Leave it to a dog to spin in circles and greet you with unconditional love and excitement when you get home from a long day at work. Leave it to a cat to cuddle up next to you when you’re home alone watching TV at night. Animals not only make you feel loved 24/7, but they offer endless benefits in helping you stay active, healthy, and happy. Pets can help to lower blood pressure and anxiety, as well as boost exercise and immunity to allergies or asthma. Allergies and Asthma: Children who grow up with pets in the household are more likely to form immunity to the allergies presented by pets. The more they are exposed to the fur and “dirt” of a pet, the more able they are to build up a tolerance to such things. Exercise: Dogs need exercise just as humans do. So who would be a better motivational workout partner than a dog? When it’s time to hit the gym, why not hit the trails with your furry friend instead? Knowing your dog needs a good run could be all the motivation you need to get out there and run with them. You’ll have no excuse to put it off because you’re not only hurting yourself, but your loving and loyal pet as well. Dating Site: Forget those online dating sites, having a cute furry pet is all you need. Bringing your pet to the park is a sure fire way to get some adoring attention from the ladies. Talking about a pet is a great ice breaker. You can ask the name, gender, breed, etc. until the conversation takes a turn for the better and before you know it, you have a date! Elderly Companion: Studies show that when the elderly own a pet, preferably an easy to care for one such as a cat or kitten, they have less anxiety outbursts as well as a great companion. A pet can give them something to care for and love, as well as exercise needed and obtained when walking a dog. Do we even need to mention the heroic qualities some animals can portray in dire situations such as house fires or getting help when an owner collapses? Lowering Depression and Risks of Heart Disease: Studies show that playing with your pet can up the levels of serotonin and dopamine, two chemicals that have a calming and pleasurable effect on the body. These beat out the harmful chemicals such as coristol and norepinephrine that can lead to feelings of depression as well as plaque buildup in arteries causing heart disease. So what’s the moral of the story? Easy. Adopt a pet from a rescue shelter and save their life, as well as your own. You can give them a healthy home and they can help to keep you healthy and living longer in return. Not to mention the unconditional love and loyalty they can dispense. Before you go to a pet store or breeder and fork out an arm and a leg to pay for a pet, check out your local shelters. 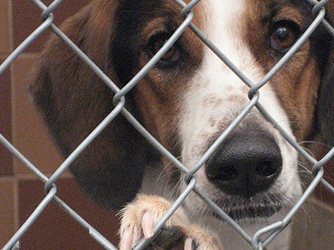 Here are some great sites to find a shelter and pet near you and save a life. Remember: Older animals need love too! Don’t stray away just because they aren’t a puppy or kitten, they’ll still give the same amount of love and health benefits! Have any pet adoption stories to tell? I would love to hear them! This entry was posted in Nutrition Facts and Tips and tagged adopt, animal, depression, exercise, health, pet, run. Bookmark the permalink.